Rabbi Alon Meltzer says protection of the vulnerable is at the core of Jewish belief. Canberra's Jewish communities place the highest possible priority on the safety of children in their care and go to great lengths to insure abuses such as those exposed by the royal commission hearings in Melbourne will never occur here, say local leaders. 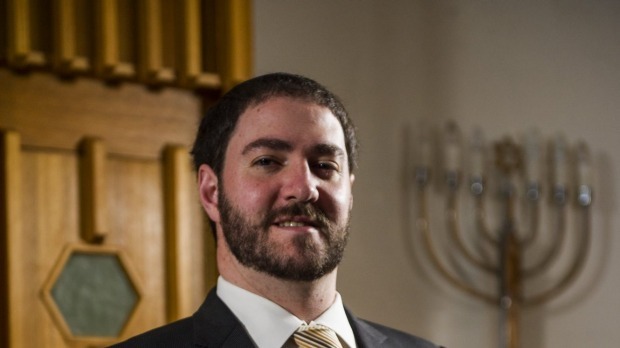 Rabbi Shmueli Feldman, of the North Canberra-based Chabad ACT, said he was grateful to the Royal Commission into Institutional Responses to Allegations of Child Abuse and the victims who had shown "immense courage" by coming forward to highlight the issue. Rabbi Alon Meltzer, of the Forrest-based ACT Jewish Community Inc, said the protection of the vulnerable was at the core of Jewish belief. "All our volunteers, board members, staff and teachers have their Working With Vulnerable People card, and adequate training," he said. "The safety of our children, of our elderly, of our disadvantaged, and truly of our entire community, is our primary goal." Rabbi Feldman said some of the revelations to have come out of the royal commission hearings into Yeshiva Melbourne and Yeshiva Sydney had been "very disturbing on very many levels". "One of the main things to emerge is that there is now clearly much more awareness across Australia of these issues (of child abuse within institutional settings) today than even as recently as the 1970s and 1980s," he said. "At the time many people in charge did not know how to respond to the problems. The problems themselves appear to have been prevalent across much of society. We are thankful, proud and indeed lucky that in Australia today the crucial issue of child safety in institutions are appropriately legislated and monitored, widely recognised and given the attention that it deserves." Rabbi Feldman said he did not wish to comment on the resignation of three rabbis – Rabbi Yosef Feldman of Sydney's Yeshivah; Rabbi Avrohom Glick of Yeshivah Melbourne and Rabbi Meir Shlomo Kluwgant – from key posts after appearances before the commission. He said it was still "too early days and will wait to see the commission's findings". Rabbi Feldman noted that in the Yeshiva case studies people who were seen to have failed in their responsibilities had chosen to resign from their posts. He agreed this has not been the case in some of the other case studies dealt with by the royal commission. Rabbi Meltzer said the hearings had revealed "a dark past of some of our institutions, and some extremely upsetting sentiments of a number of our Rabbinic leaders". It was necessary to look back in order to move forward. "It is my sincere hope that we will see a brighter tomorrow," he said. "As the rabbi of my community I have ensured I am trained and aware of the potential signs of abuse, working with Yeshiva University to attend online courses in a certificate program tackling abuse within the Rabbinate for the past four months." Originally published at The Canberra Times.